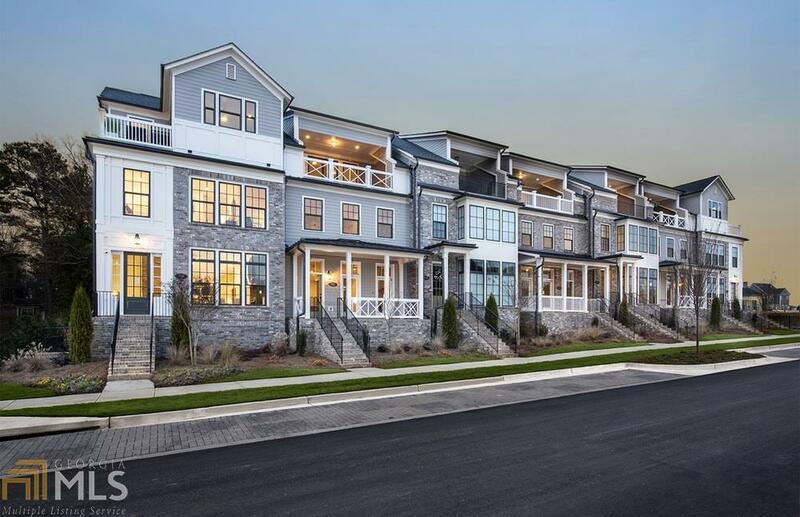 Brand new luxury townhome just steps to Avalon & Alpharetta City Center! Discover lock-and-go living in a luxurious floorplan designed for the way you want to live. Entertain with ease in the spacious great room with sweeping views of the dining room & kitchen. A large owner&apos;s suite & spa provides the perfect place for rest & relaxation. The included elevator provides easy access to all floors including the top floor with a loft & covered sky terrace. This home is nearing completion and will be ready in April 2019! Advertised price is tied to using Affiliated Lender and closing April 2019. Directions: Take Ga 400 North To Exit 10 For Ga-120/Old Milton Parkway. Turn Left On Onto Old Milton Parkway. Foundry Is 0.7 Mile Ahead On The Right, Just Past Avalon, At The Corner Of Old Milton Parkway And Westside Parkway.